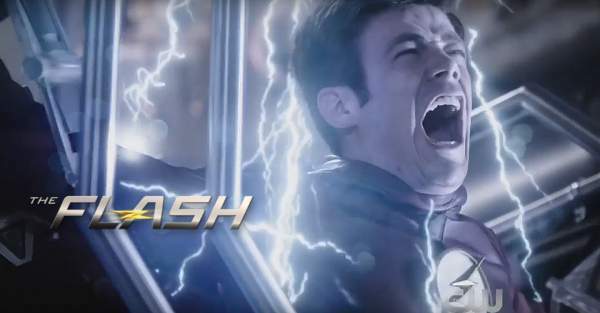 The Flash Season 2 Episode 22 (S2E22) Spoilers: ‘Invincible’ Trailer and Air Date; Will Caitlyn Turn Evil? Until then, as we are nearing to the finale, ‘The Flash’ is getting more and more interesting. On the other hand, killing Black Canary in Arrow has upset many fans. But, the good news is we will see her in the next episode of The Flash. However, the bad news is that she will be on the Zoom’s side. As per the latest updates, Zoom is hot on his trail and not leaving any stone unturned to harm Earth 1. He seems to be unstoppable as he unleashes his new plan. As seen at the end of episode 21, Zoom has already brought up an army of meta-humans in Central City as he is looking forward to create chaos. Barry gets shocked as he learns that the leader of the army is Black Canary’s doppleganger from the Earth-2, the Black Siren. Some reports suggest that the doppleganger of Barry’s father Henry Allen will appear in the final two episodes. And here it gets more interesting. In the meantime, Wally West will spring into action to help Barry in stopping the catastrophe caused by the Earth-2 meta-humans. Wally’s decision will make Joe worry. Iris and Henry’s concern grows as Barry once again sets to combat Zoom. They fear that the outcome may not be favorable. Below is the official synopsis for ‘Invincible’. Have a read. Jesse Warn will be directing the episode while Greg Berlanti and Andrew Kreisberg has wirttent he story. Brooke Roberts and David Kob will work on screenplay. The Flash season 2 episode 22 is set to air on 17th May 2016 at 8 pm ET on CW. What are your views and thoughts? Feel free to share and join the discussion below. will Berry be able to defect zoom and who is the Black Siren? Why does Barry scream NO! At the end of the promo? Did Wally get hurt? Barry has to be able to defeat zoom. Barry can’t die because he’s the main character. Zoom will die on episode 23 I’m pretty sure after slot of twists and Barry will possibly get beaten up but come back and defeat zoom with one second left to spare. But who knows? I think wally west is Barrys patner because he wants to help Barry on saving the city that the flash always wants to save,l think wally west is cyborg because of the exceleretor explosion.